Send Flowers same day across Canada with Canada Flowers, Canada's National Florist. 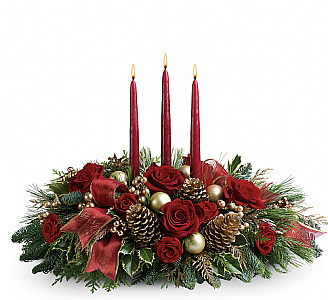 Our Christmas Centerpieces catalogue features beautiful flower centerpiece for the Christmas holiday season. Prices are in Canadian dollars. Choose centrepiece arrangements with or without candles, in red, pink or white festive colours. 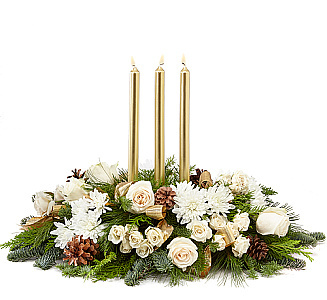 Try sending a Christmas floral centerpiece to a loved one and leave a lasting impression this holiday season! A selection of flower arrangements available for flower delivery across Canada. 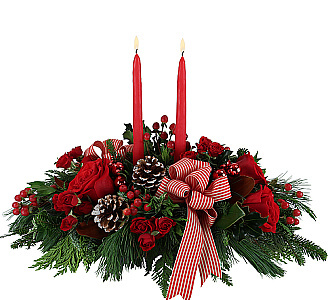 Shop Christmas Centerpieces , FTD® Christmas Centerpieces , Teleflora Christmas Centerpieces.